This is a family favorite! 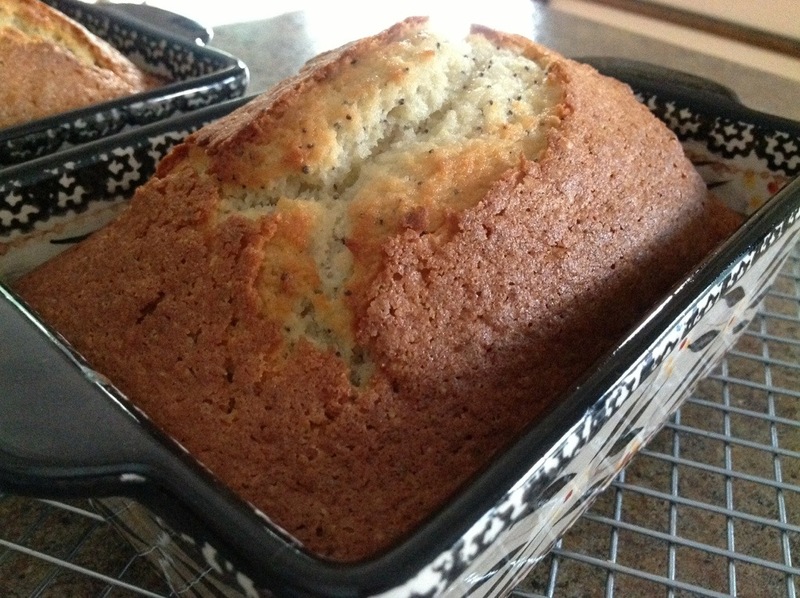 I have been making this quick bread recipe for years. Once the loaf is pulled out of the oven, the whole thing seems to disappear shortly thereafter. It’s an easy enough recipe…everything gets dumped into a bowl and popped into the oven rather quickly. I always keep an ample supply of poppy seeds in the pantry for when my kids are craving the scrumptious flavor of this delicious loaf. In a large bowl, combine first five ingredients. Add eggs, milk, oil, and extracts; mix well. Pour into two greased 8 1/2 x 4 1/2″ loaf pans. Bake at 350 degrees for 55-65 minutes. Cool for 10 minutes; remove from pans and cool completely before serving. It sure is yummy… Hope you get a chance to try it! My kind of recipe. I love breads. It looks so good! Thanks for stopping by my blog. You’re very welcome… And I’ll be stopping by again soon! That does look like the perfect poppy seed bread indeed! Moist and delicious… Too good to pass up! I hope you get a chance to try it… Super easy and super delicious! A real family favorite! Me too! WordPress bloggers offer so many great recipes… It’s hard to keep up! I see someone beat me to the yummy looking comment. This looks like a recipe worth checking out. Love your bread pans, too. Oh, I love the bread pans too! 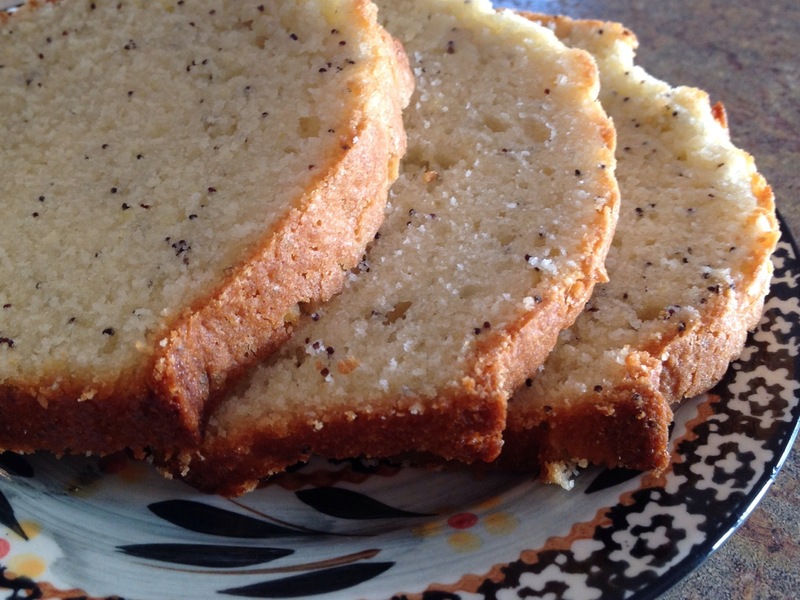 This poppy seed bread recipe bakes up nicely in these pans…hope you get a chance to try this one…you are right,it’s yummy! I love Poppy Seeds and sweets are my weekness. I’m going to have to try this. It’s one of our favorites… I hope you like it! That’s why I always pays to make your own from scratch…always tastes fresh and delicious at half the cost! Thanks for visiting,Nancy!